Karen gives lessons out of her town home in Antigonish, Nova Scotia. 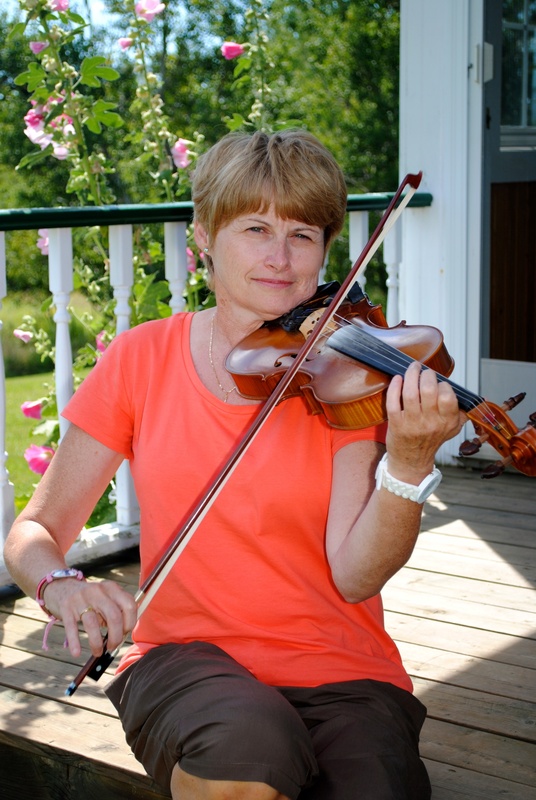 You will learn to read music and play tunes in the tradition of the Cape Breton fiddlers. Karen is pleased to provide advice on fiddles appropriate for learning. Occasionally, she has some for sale! Violin, Case and Bow available FOR SALE NOW. A 30 minute lesson is $25. A 45 minute lesson is $35. Lessons are purchased for a month at a time. Group lessons are available for 8, 9 and 10 year old children. Limited openings available. The one hour lesson is $20 per student. Further information for parents will be available at the first lesson. To enquire or book a space, contact Karen at 902 870 0009 or use the form below. Just a little shy? Always had a dream? Try it Out! Always wanted to play the fiddle? Took a few lessons a long time ago? Not sure fiddling is for you? Book ONE lesson with Karen to talk over your goals, learn what is possible in lessons, participate in a brief lesson. No fiddle is necessary. Just come for a visit! All ages – one hour consultation is $30. at 902 870 0009 or complete the form below.